Should Trump end FEMA funds for California wildfires? 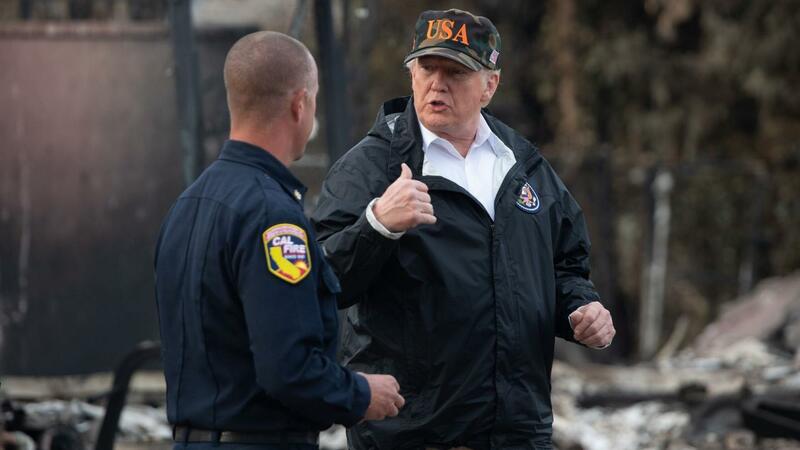 President Trump threatened to cut off FEMA funding for California's wildfire relief in a Wednesday tweet, blaming the state's poor land management. Our thought bubble from Axios science editor Andrew Freedman: Climate change is extending wildfire season year-round and increasing the frequency of extreme fires that spread quickly and are harder to contain. Forest management, including "raking" brush, which President Trump has previously advocated, would not reduce the risk, fire experts have told Axios. Background: FEMA has approved more than $12.7 million for survivors affected by wildfires in three California counties, the New York Times reports. Assistance includes temporary housing and home repairs, as well as low-cost loans to cover uninsured property losses. The Camp Fire that ravaged northern California was both the deadliest in state history and the costliest with overall losses of $16.5 billion and insured losses of $12.5 billion, according to Munich Re in a press release. About 57% of California's forests are managed by the federal government, according to government reports. More federal lands in the state were burned last year than state lands. "Californians endured the deadliest wildfire in our state’s history last year. We should work together to mitigate these fires by combating climate change, not play politics by threatening to withhold money from survivors of a deadly natural disaster."